With Generation 1, several details were set. 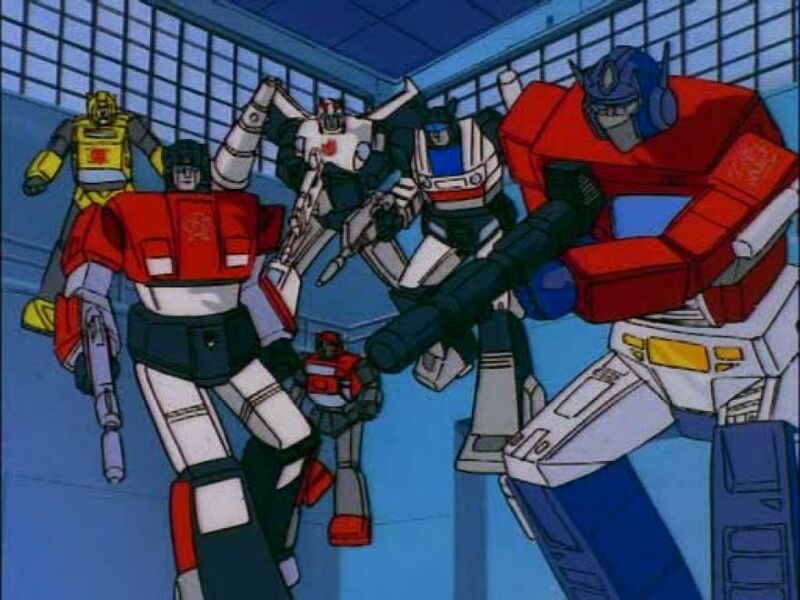 The heroic Autobots, led by Optimus Prime, voiced by Peter Cullen in the cartoon, defended Earth from the evil Decepticons, led by Megatron, voiced by Frank Welker. The Autobots were mainly, but not exclusively, ground vehicles, from Prime’s tractor-trailer rig to Bumblebee’s Volkswagen Beetle. 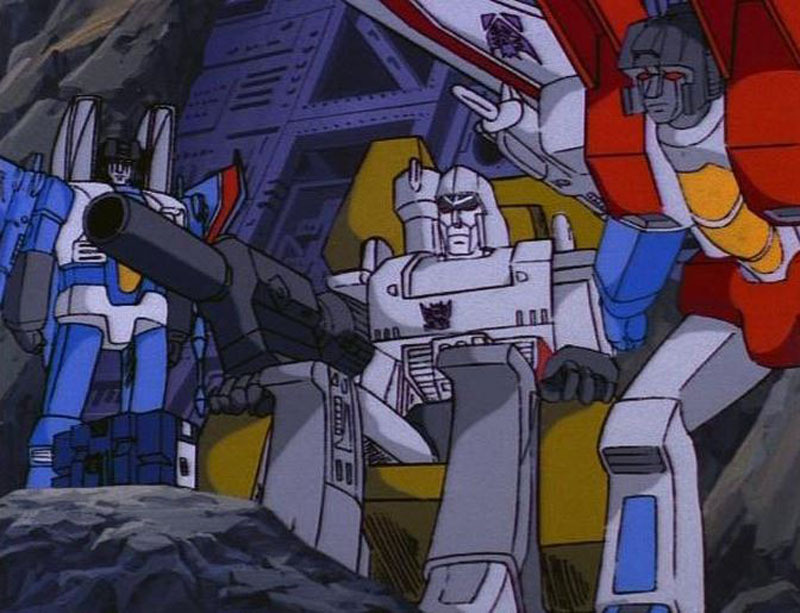 The Decepticons had a mix of aircraft, including Starscream and his squadron, and non-vehicular machines, including Soundwave, a non-working radio and cassettes, and Megatron, a Walther P-38 with similar attachments as seen in The Man from U.N.C.L.E. * The next wave during the original run of the cartoon included non-vehicle Autobots, including Blaster, Perceptor, and the Dinobots, and cars for the Decepticons, including the Constructicons, the first combining set for the line. Each side had a symbol to signify which side the toy was one, Autobot or Decepticon. 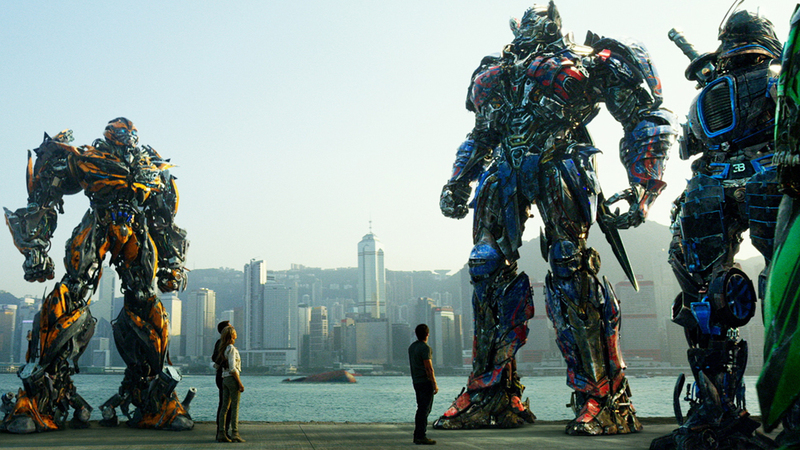 Both the Autobots and Decepticons come from a distant world, Cybertron, where the main lifeforms are sentient machines. The two sides had been engaged in a long civil war, started when Megatron tried to take over as ruler of Cybertron. The war depleted energy reserves on the planet, forcing both sides to go looking for more energon. The Autobots left on a spaceship, but the Decepticons managed to get on board. The ensuing fight damages the ship, placing all the robots on board into stasis. The ship crashes on an unknown planet and lays dormant for millennia. While the Autobot-Decepticon war was the main plot device, as the animated series continued, two other general stories emerged. The first type dealt with how the Autobots adjusted to life on Earth, with the people of Earth learning how to adjust to their new neighbours. The fight against the Decepticons would appear in some of these episodes, but the thrust was on how the Autobots were learning about life on the planet. The other type of story was essentially “Transformers in Space,” with both the Autobots and Decepticons encountering strange new life and civilizations. These episodes tended to clash with the rest of the series. The Pentagon, aware of the attack on the base and of a hacking attempt from inside Air Force One, start their own investigation. Maggie Madsen (Rachael Taylor), one of the analysts working on the project, secrets a copy of the date to take to Glen Whitmann (Anthony Anderson), a hacker of her acquaintance. However, the FBI is aware of the data theft and take both into custody, where they are turned over to Sector 7 through Agent Simmons (John Tuturro) and pressed into service. Lennox’s special forces team, now safely back in the US, are ordered by the Secretary of Defense (Jon Voight) to go to Hoover Dam. Lennox’s team is the only one with firsthand knowledge on how to defeat the alien robots. Unfortunately, Frenzy has tagged along, disguised as Sam’s cell phone. Frenzy locates Megatron and shuts down the cryonic stasis Sector 7 had been keeping him in. Megatron revives. and summons his Decepticon soldiers, Starscream (Charlie Adler), Barricade, Devastator, Bonecrusher (Jim Wood), and Blackout. As Megatron escapes, Lennox and his team force a stand-off with Sector 7 agents. 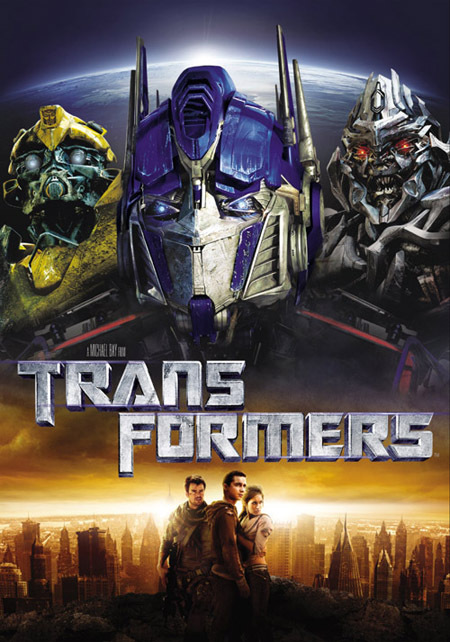 The tension is broken by the Secretary of Defense who orders Simmons and Sector 7 to release Bumblebee and Lennox to accompany the Autobot, Sam, and Mikaela as the trio takes the All-Spark to the nearby city. 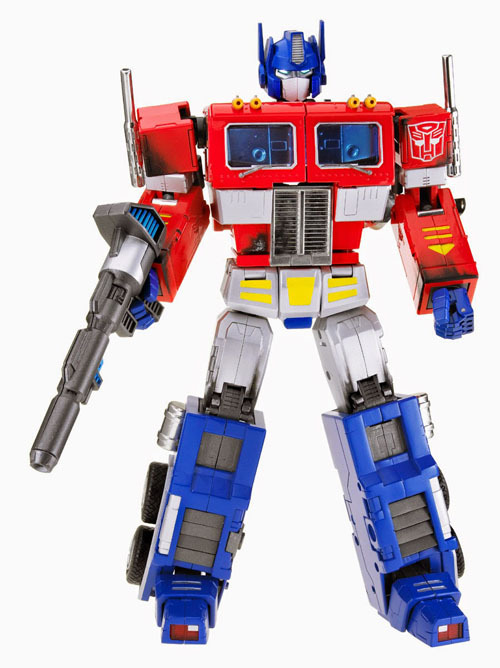 The key to the movie is that it is based on the Transformers line of action figures, not the Generation 1 cartoon, even though the original toy line was tied closer to the series. Helping here, as mentioned above, is that the movie is the start of the Transformers cinematic universe and its own continuity, something that prior animated series had also pulled off. That said, there are efforts to remain accurate to the toys. Both Optimus Prime and Bumblebee keep their colour schemes, Ratchet is still an ambulance, Starscream is a modern jet fighter. Just as critical, perhaps moreso, is the return of Peter Cullen as Optimus, still capable of giving the same inspirational speeches as in the Generation 1 cartoon.